Not getting enough hours of good and undisturbed sleep can really dampen one’s mood. This is particularly true for hedgehogs as well. There are several requirements to achieving a restful sleep. One of the most important requirements is a comfortable surface to lie on. For most humans, there is the bed. For hedgehogs, there is hedgehog cage bedding. 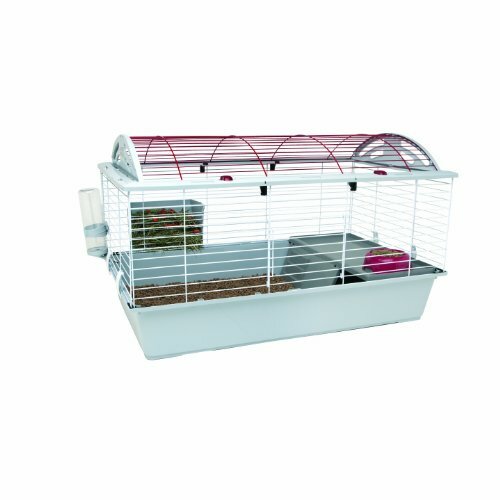 Not only does bedding promote comfort when sleeping, it also supports the animal when walking around in his cage. Bedding reduces heat loss which happens at a faster rate for animals with greater surface area-to-volume ratio like hedgehogs. This cage accessory also eases pressure on the hedgehog’s skin. Contamination by waste materials can also be prevented by having good bedding. Compared to other hedgehog cage necessities, there are no universal standards on what makes the perfect bedding. Many pet owners and even veterinarians would give different, sometimes conflicting, opinions about cage bedding for hedgehogs. Of course, no bedding manufacturer or store owner would say that their product is more inferior to others. Therefore, it is important to not settle and evaluate as many types and makes as possible. When choosing cage bedding for pet hedgehogs, it is important to take note that, like some humans, hedgehogs can be allergic to various materials. Regularly checking pets for rashes that could not be due to mites and other parasite is a must. If an allergy or skin irritation is suspected, it is better to replace bedding. Irritation of some parts of the hedgehog, like the genital areas, can have serious consequences like urinary blockade. Soft woods like pine are common materials in cage bedding, but some of the chemical components in the wood can be potentially harmful. Hedgehogs are very inquisitive animals and are known to chew through and eat new beddings out of curiosity. Ingesting too much of indigestible materials can cause bowel impactions in hedgehogs. Regular checking of hedgehog cage bedding for droppings is also required since dark colored bedding can disguise the true color of hedgehog poop. Small pocket pets such as hedgehogs and guinea pigs require a hefty amount of bedding material to soften the bottom of their cages. Good bedding will prevent your pet from incurring a lot of injuries in case he falls from a considerable height. It prevents too much moisture from accumulating in the cage, and it also lessens the odor from your pet’s waste. Trying out different bedding is the best way to decide which one is right for a pet hedgehog. When the hedgehog is newly acquired, it is advisable to change bedding less frequently. As they become more comfortable in their new home, it will be easier to make changes without significantly stressing them out. Two to three inches thick is recommended for different types of litter and shavings. Sometimes, people opt for deep bedding to allow their hedgehogs to root and to maximize the function of the litter. Cedar shavings are one of the cheapest and most common bedding materials that you can find on the market. They are also the most dangerous. That is because cedar wood contains a dangerous chemical compound known as Plicatic acid. The scent that is emitted by this toxin helps repel fleas or moths from attacking your pocket pet. However, they can negatively affect their health too. Too much exposure to cedar shavings can cause serious complications to your pet’s digestive and respiratory system. For some, they might experience allergic reactions to it. As much as possible, avoid using this type of bedding or material. Or, you can mix small amounts of cedar shavings with other stuff such as aspen or fleece. Similar to cedar shavings, pine also has a cheaper price tag compared to other bedding material. It is also processed by numerous suppliers and sold at various pet stores worldwide. But unlike cedar, pine shavings do not contain any traces of Plicatic acid, making it safe to place in hedgehog cages. One of the greatest advantages of using pine for the hedgehog cage bedding is that it can effectively absorb your pet’s urine and remove any scent. They can also be used for larger animals such as rabbits or lizards. Its accessibility and price also makes it a favorite among many pet owners. If you want to use pine shavings, make sure that you purchase it from a reliable manufacturer. Pine contains trace amounts of Abietic acid. If your pet gets exposed to this chemical compound for a long period of time, it might acquire certain illnesses. A responsible pine shaving supplier cures their products at high temperatures in order to remove any traces of that chemical. Care Fresh is a fluffy paper product that is made from wood pulp. Although it is lightweight and thin, it can greatly absorb liquid, and it does not fall to pieces even though it is already wet. Depending on your hedgehog’s activity, Care Fresh only produces very few dust particles, which means that it is very easy to manage and clean. This bedding material comes in an array of colors, so you can actually use it to make your hedgehog cage look attractive. If you plan to use Care Fresh, you should train your hedgehog to avoid eating it. This material is very hard to digest and it can cause intestinal blockage if large amounts are consumed. Aspen shavings have a finer texture compared with pine or cedar. However, pet owners can still rely on this bedding material because it can also remove odor in an efficient manner. These materials are very safe to use because they do not contain any harmful materials. Because it is soft and smooth, it is highly recommended for hedgehogs that are suffering from skin allergies. The only downside to this material is that its dust can stick to your pet’s blankets, toys, and other accessories. If you do not want to use any wood shavings for your cage bedding, you can opt to try fleece. Unlike wood shavings, it does not scatter around the entire enclosure, and it will not soil your pet’s accessories. They are soft to the touch and they provide good hiding places for your hedgehog. Another advantage of fleece beddings is that you do not need to replace it every week. You can reuse this material over and over again, provided that you give it a good spin in the washing machine every once in a while. Keep in mind that fleece is a very delicate fabric. This means that you need to follow the washing instructions that were provided by its manufacturer. These are plain papers that do not have any prints. You can purchase these materials in bookstores or local publishing houses. Wood pellets can easily remove the moisture from the hedgehog droppings faster than wood shavings. Once it gets wet, it breaks into pieces and turns into sawdust after a few minutes. This feature will help you spot the clean and dirty areas of the hedgehog cage. Another advantage of using wood pellets is that they do not cling to your pets or to any of the accessories in the enclosure. During the first few days, check if your pet has eaten any of the pellets. Similar to Clean Fresh, consuming large quantities of this material can also pose serious risks to your hedgehog’s digestive system. Some hedgehogs can have nasty allergic reactions to wood shavings or pellets. For these sensitive creatures, the most ideal material that you can use is fabric. Vellux and crib liners are made from very soft yet durable materials. They do not easily spread dust, which makes them easier to handle compared to wood shavings. For people who want to save money, this bedding material is perfect for you because you can reuse it over and over again. Furthermore, mites and other small insects do not thrive on fabric. When using fabric materials, keep in mind that you should wash them regularly to prevent any germs from spreading inside the enclosure. Check for any seams and loose threads that can entangle your hedgehog’s little feet. Always use colored fabrics so that you can easily spot any urine marks. They can easily absorb liquid, but these materials cannot remove odors. Moreover, you need to constantly check if they are infested with molds or not. The good thing about these rabbit pellets is that your hedgehog can eat it without negatively affecting its health. If you have a garden, you can use these pellets as compost once it gets soiled. However, it should always be kept dry to prevent any bacteria from thriving. Even though it is difficult to conclude on the best type of hedgehog cage bedding to use, knowing what bedding to avoid can be helpful. Natural insect-repelling property and odor-reducing ability made cedar shavings convenient and popular as cage bedding. These properties are due to volatile compounds in the wood. However, these same compounds can be potentially harmful to pets. Studies on laboratory animals have shown alterations in liver enzymes linked to cedar beddings. Even though the effects on domesticated animals are not yet clear, it is better to steer clear of cedar shavings altogether as a preventive measure.